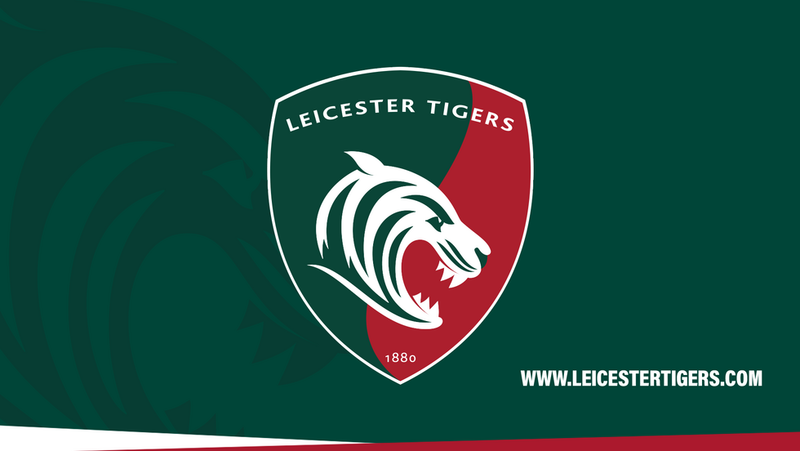 The club are aware of malicious content that was aimed at the players on social media after our last match against Exeter Chiefs at Welford Road. Due to what we believe to be not only vile and disgusting personal abuse of players, but also their families, we have been in contact with the social media platforms and the police, and have reported this as a crime. "The club is in no way above criticism ... everybody at the club accepts that we are not where want to be at the moment"
We know that our supporters share our passion for respect and fairness, and have always been the best example of how to follow a team. We are sure that all of you will join us in wanting to stamp out this kind of behaviour by those that don’t represent our true support. If we are able to ascertain who these abusers are they will receive a lifetime ban from the club and Welford Road. Chris Rose, Tigers Head of Brand, stated: “The club is in no way above criticism ... everybody at the club accepts that we are not where want to be at the moment. We are all accountable for that and are working tirelessly to get better. “As the face of the club, the players may well receive the brunt of what is out there, but what we see week in, week out is a huge amount of blood, sweat and tears from our men. 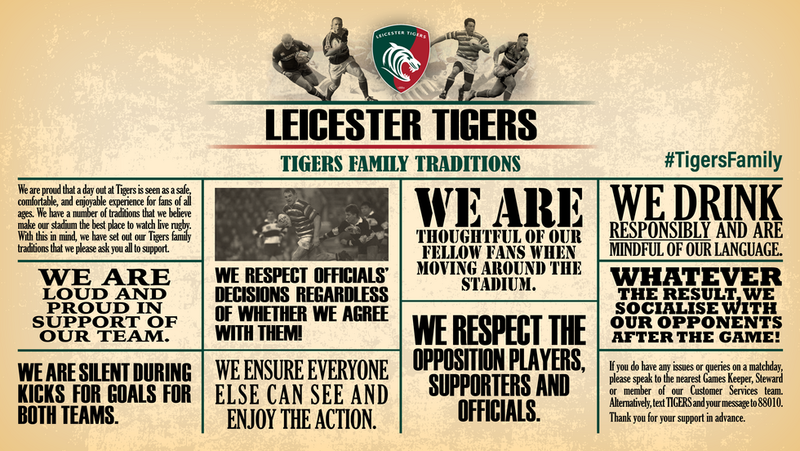 “Every person at the club finds it an honour to work at Welford Road and so accept all opinions on how we are doing our jobs for our supporters, but when this tips over into foul abuse the club will do everything in its power to make sure people that believe that is acceptable behaviour are found and dealt with. “There is no place in society or the Tigers Family for this, let alone in our sport which prides itself on the family-friendly nature of the game. One of several players to have family members targeted in posts on their personal social media channels, Leicester Tigers captain Tom Youngs said: “It isn’t a new thing for players at Tigers and in all sports to be criticised for performances that fans don’t believe are good enough. “At the moment, we have not been good enough and accept that it means a lot to our supporters, who are entitled to have their say on our performances.